Flyhawk bred Morgans started by Harvey Grunden in 1969. Harvey's grandfather, Lloyd Russell Grunden, had a life long dream of raising and selling those beautiful horses from Vermont. Little did Harvey know, that he was fulfilling his grandfathers dream by starting this breeding program. The bloodlines that we have concentrated in this program are Flyhawk and Jubilee King. As you look in the pedigrees and photos on this web site, you will notice the Flyhawk cross many times through the lineage. 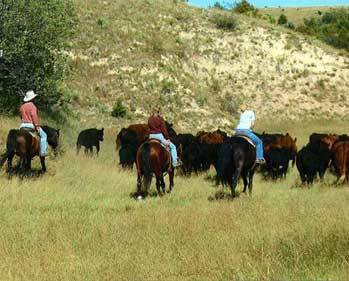 We constantly breed for strong bone, straight legs, and good conformation. Since our horses are on free range, they have common sense bred into them. They know how to negotiate hills, tree branches slapping them and are very familiar with deer, turkeys and other wildlife. The first thing a person sees in our Morgans horses is the head. If this horse has a good head with a big and gentle eye, you will automatically continue to look and like what you see. Remember, it costs just as much in feed to care for a good horse as it does a poor headed and conformation horse. 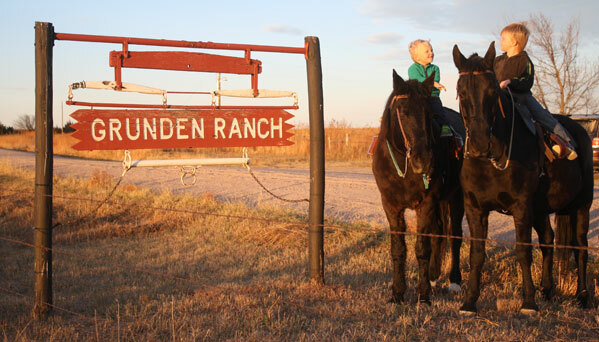 At the Grunden Ranch, our breeding program speaks for itself. 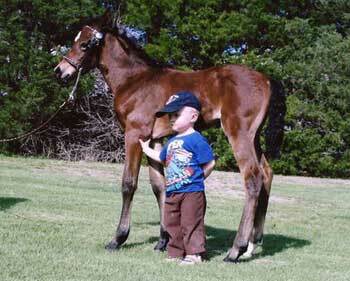 Our horses have been the foundation stock for many other breeders. 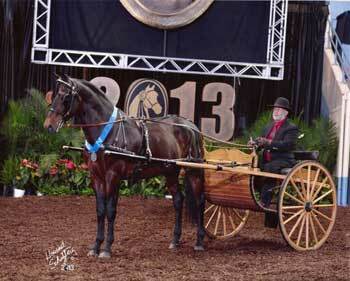 When we sold the stallion, Funquest Meddler to Germany in 1979, we introduced the first Morgan horse to that country. Since then, several more have been exported there to continue building the breed. Many have been sold to Canada and twenty-seven states in the United States, from Alaska to Texas, New York to California. 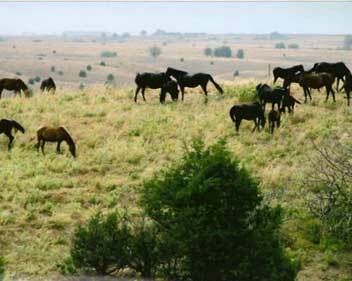 Our videos show our horses and the terrain that they are accustomed to, and folks have told us that "they want a Morgan horse herd like Grunden Ranch's someday". 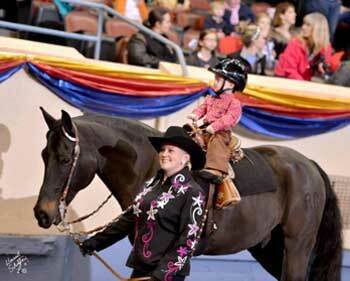 Our horses are also bred for the show ring. We have had horses compete Internationally at the Combined Driving Events and have won. The Morgan Grand National has also had horses from the Grunden Ranch place at the top, both by ourselves and our customers. Good disposition is the utmost importance. You need to have a kind, gentle horse to make you want to be a part of their life. This is enhanced even more by our special attention they get from imprinting and halter breaking at a very young age (birth to two weeks). Our Morgan Stallions and the Grunden Ranch Broodmare Band are some of the finest offered in the industry producing versatile & champion offspring. 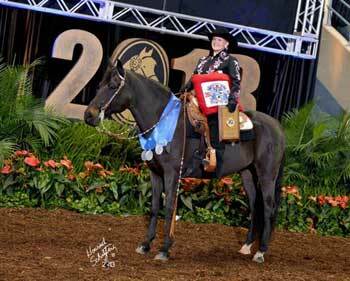 Many are foundation bred, working western, sport horse types with good disposition and conformation. We have many homozygous black horses in our herd. 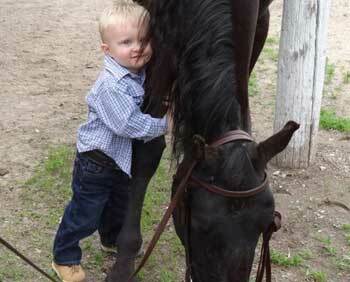 In other words, they are the "old style family Morgan horse". 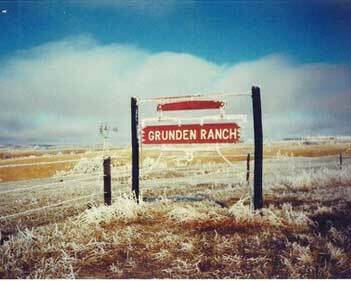 Grunden Ranch Morgans is committed to promoting Morgans. 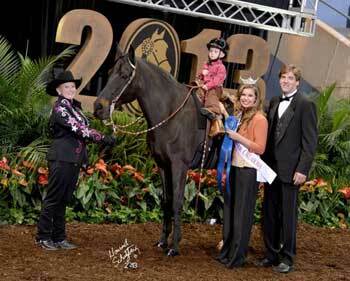 We are one of the largest breeders preserving the Funquest Morgan Horse Farm lineage. Harlan Grunden was recently elected to serve on the Board of Directors representing the Central Region for the American Morgan Horse Assocation. If you have questions or concerns, please contact Harlan. He will be happy to answer your questions.